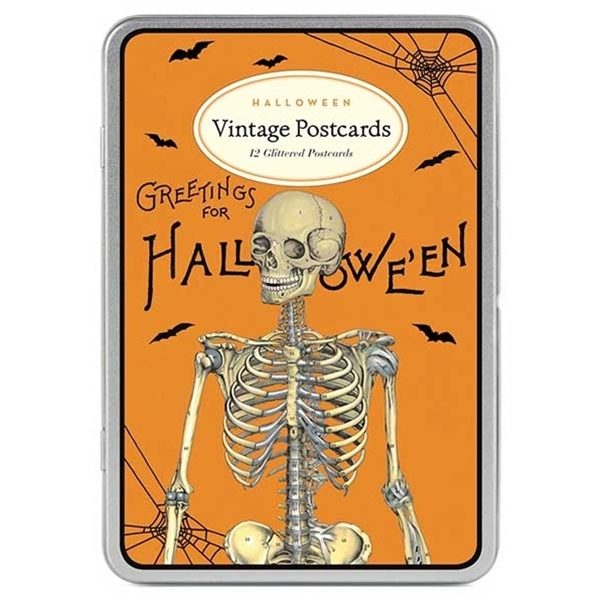 This decorative tin comes with 12 glittered Halloween postcards (two each of six designs). Printed on Cavallini's classic cream paper stock. Featuring vintage images from the Cavallini archives. 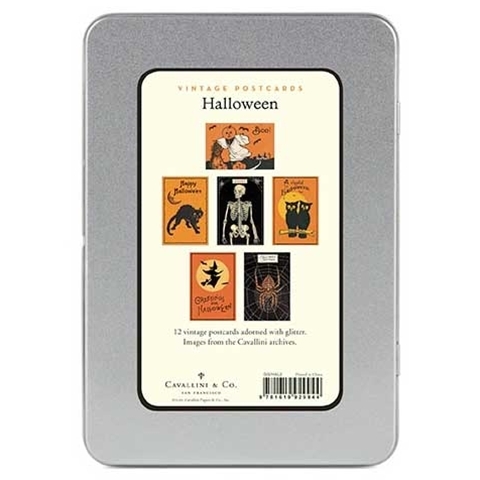 Ideal for personal correspondence or decorative purposes. 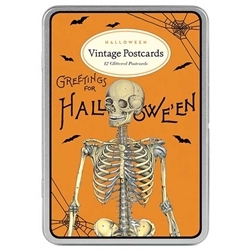 Postcard Size: 3.75" x 5.5"; Tin Size: 4.25 x 6.25".